Harris Teeter ExpressLane… How do I love thee? Let me count the ways… You think I’m joking? Let me assure you. I am not. Are you a mom? If so, you can feel my pain. You’ve loaded up the kids in the car and you’ve managed to get them safely through the parking lot into the grocery store. One child INSISTS on being in the giant race car grocery cart. So you hunt it down. The other two INSIST on pushing the small “just for them” mini-carts. You fear for all of the those shopping around you. Tantrums and tears erupt over every decision… What character is on the fruit snacks? What flavor of potato chips do you get? Juice gets thrown in the cart and you don’t even know it. Stressed yet? I am. Which is why I LOVE my Harris Teeter ExpressLane. I order my groceries online (without input from the kids), then pick them up curb-side and I don’t even have to leave my car. Not only am I saving what sanity I have left, I’m saving time. And as a mom of three, that means something. It means I get a little time for me, and some quality time with my boys. What do I do with more time in my day? Plant an indoor herb garden. I love adding fresh herbs for extra flavor and color to weekday suppers. 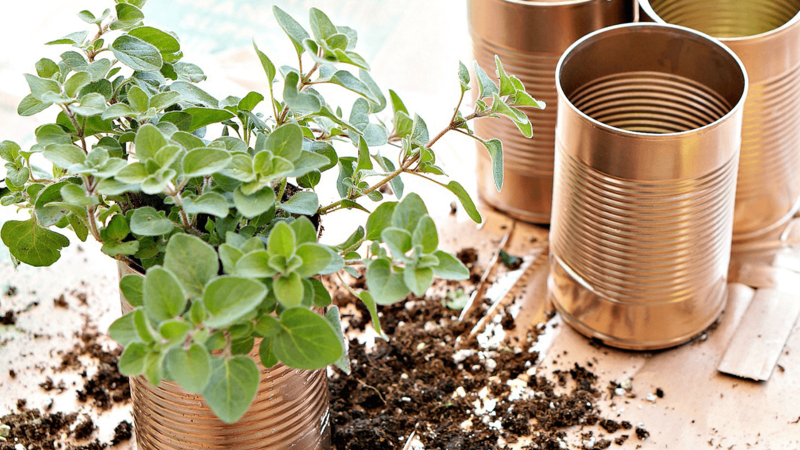 These copper planters are so easy to make and look adorable on the countertop. Click here for a full tutorial. My family makes dinner together. Instead of lugging my kids through the grocery store, we have time to make a family dinner together. 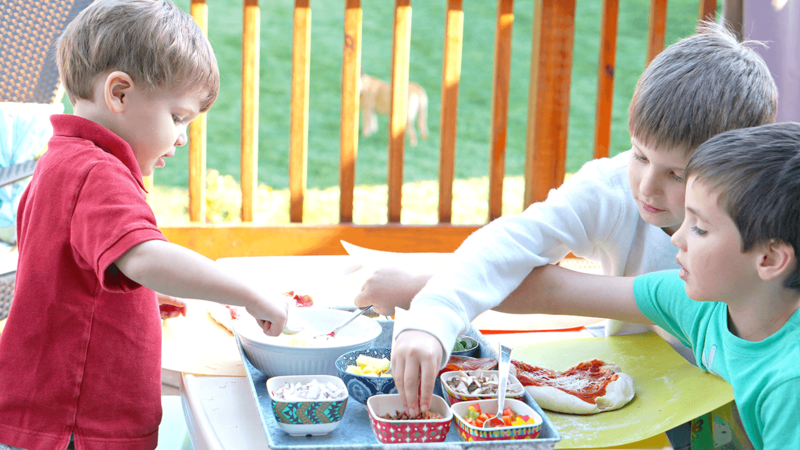 We love setting out a pizza topping bar and grilling our own personal pizzas together. It’s the perfect summer evening. Get outside. Swing a baseball bat. 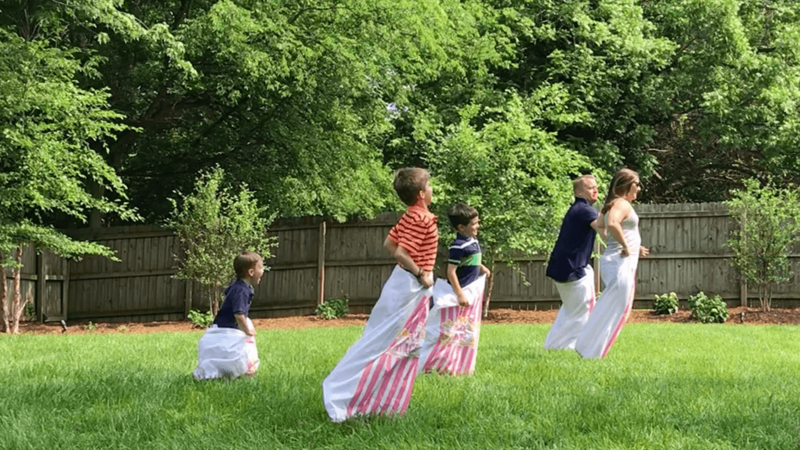 Have a family potato sack race. (Yup.) Or catch fireflies! These are the things the kids will remember. Play with your food. My boys love making marshmallow sculptures! With only marshmallows and toothpicks the kids have a blast building unique 3D structures… and snacking, too. When they were little, my boys also loved trying to thread cheerios onto pasta stuck in a playdough base. Have I inspired you? 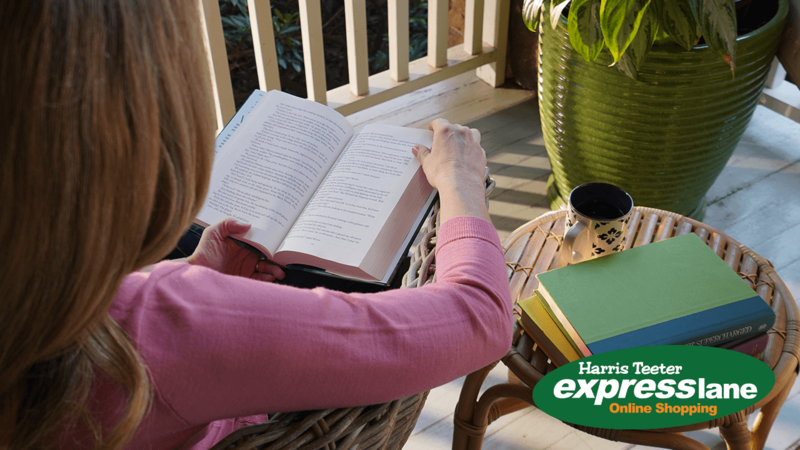 Click here to select your store and begin your Harris Teeter ExpressLane order.